By early November 1918 Germany stood alone against the Allies and revolution was breaking out behind the lines. But the German army was still resisting on the Western Front, and the New Zealanders’ capture of the walled northern French town of Le Quesnoy was a bold feat of arms. The New Zealand artillery could not bombard Le Quesnoy heavily because of the number of civilians in the town, so General Andrew Russell decided to encircle it and hope the garrison would surrender. By midday the forward troops were well past the town and enemy fire from the ramparts had been suppressed. However, the Germans inside Le Quesnoy were not inclined to surrender. About 4 p.m. the 4th Rifle Battalion managed to place a 9-m ladder against the town’s wall, and Second Lieutenant Leslie Averill was first to scale the ramparts. About 4.30 p.m., the 2nd Rifles began entering the town through the Valenciennes Gate, and the garrison soon surrendered. Nearly 2000 prisoners and 60 field guns were captured in the Division’s last major action of the war. 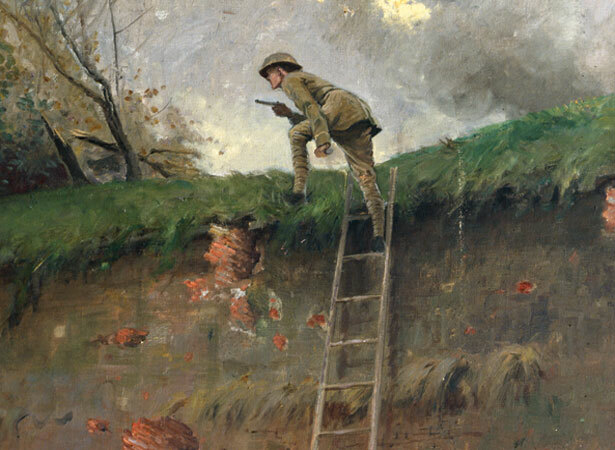 We have 19 biographies, 40 articles, related to New Zealand Division captures Le Quesnoy .